Irida's thesis examines the uses of new technologies and interactivity in the context of the museum within the UK. She identifies understandings and uses of interactivity focusing on audience participation, engagement and social learning. Her analysis of interactivity in the museum is framed by new museological approaches and theoretical frameworks based on poststructuralist thinking. In particular, rhizomatic thinking, as explored by Deleuze and Guattari, provides the theoretical framework to be tested and elaborated by means of an in-depth empirical analysis of two case studies - the Museum of London and the National Maritime Museum, both of which have integrated interactivity and new technologies into their exhibition programmes. Museums, Irida argues, are assumed interactive cultural spaces through which audiences' experiences can be investigated via the prisms of body, space and affect. 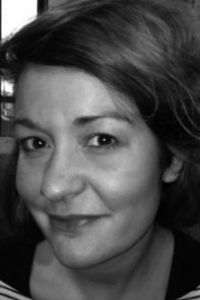 Irida has an MA in Interactive Media - Critical Theory from Goldsmiths College, University of London and a BA in Cultural Technology & Communication from the Aegean University, Mytilene, Greece. Erasmus Scholarship Sep 2012 - Jan 2013. Visiting PhD Scholar, Schools of Arts & Social Sciences, Nanyang Technological University, Singapore. ‘On museum and interactivity’, Museum Show off! (November 2013). City University London, Centre of Cultural and Creative Industries 2015-6: Visiting Lecturer BA module: ‘Cultural and Creative Industries, Arts and Popular Culture’, introducing students to core cultural theory. 2011-13: Teaching Assistant MA modules: ‘Current Criticism’, ‘Digital Cultures’, ‘Post-Colonial Agendas’. Ntalla, I. & Vom Lehn, D. (2014). 'Researching audiences in digital mediated and interactive experiences: Special Section Introduction' Participation: Journal of Audience and Reception Studies, vol 11, no. 1, pp. 213-215. Markowski, M., Ntalla, I., Kamposiori, C., & Routsis, V. (2015). Multidisciplinary Perspectives on Affective Experiences in Proceedings from the Electronic Visualisation and the Arts (EVA 2015), London, UK. Ntalla I. (2013) Haptic interactions through touch-screen interfaces in Proceeding of the Electronic Visualisation and the Arts London 2013 edited by Ng Kia, Bowen P. Jonathan and McDaid Sarah, 203-210. ISBN 9781780172156. Kidd, J., Ntalla, I., & Lyons, W. (2011). Multi-touch interfaces in museum spaces: reporting preliminary findings on the nature of interaction. In Proceedings of the International Conference Re-thinking Technology in Museums, Emerging Experiences, edited by Ciolfi, Luigina., Scott, Katherine and Barbieri, Sara, 5-13. Ireland: University of Limerick, 2011. Antoniou, A.-S., Ntalla, I., & Woollard, V. (2013). Discussing museum learning opportunities for children with disabilities. In Child Health, Family and Education, edited by Alexander-Stamatios Antoniou & Bruce David Kirkcaldy, 277-292). Athens: DIADRASSI Publications. Ntalla I. (2012). Interactivity and audience experience in the modern museum; discussing findings from case study on the 'High Arctic' immersive installation, National Maritime Museum, London. In E. Kristiansen (Eds. ), Proceedings of the Dream Conference: The Transformative Museum Conference (pp. 252-266). Roskilde University, Denmark. Ntalla I., & Stamatiou, A.S. (2012). The museum as a transitional learning space for children with special needs’ The Quality in Education: Trends and Perspectives Conference. National and Kapodistrian University of Athens, Faculty of Primary Education, Athens, Greece.